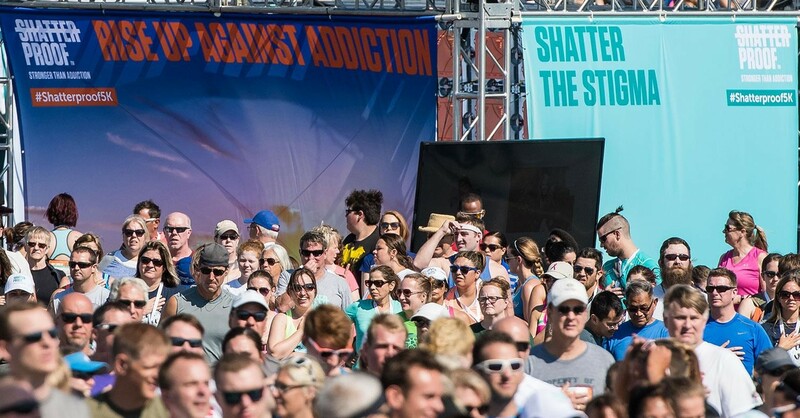 Shatterproof Rise Up Against Addiction 5K Walk/Run is a national movement. Families, friends, coworkers, and neighbors walk or run 5 kilometers to bring the disease of addiction into the light. Whether you’ve had a substance use disorder or have watched someone you care about struggle with this disease, join us to show that no one should ever suffer alone. Unite with other walkers and runners, supporting those who have lost a loved one to addiction and celebrating those who are living in recovery today. Every dollar you raise brings us one step closer to ending the devastation of addiction in America.